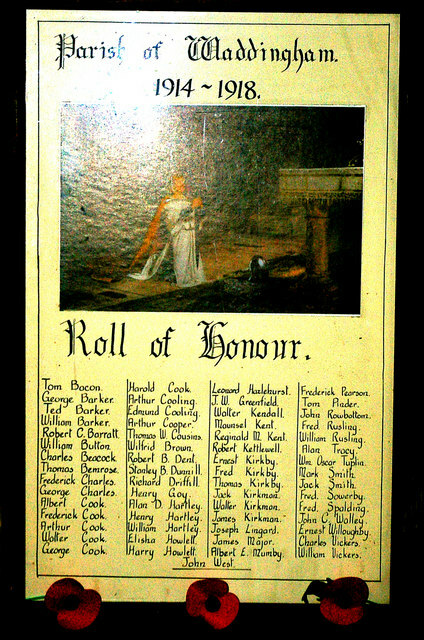 This Roll of Honour in the Church of St. Mary & St. Peter, Waddingham, Lincolnshire, records the names of 61 men who served in the Great War. © Copyright David Wright and licensed for reuse under this Creative Commons Licence. This page has been viewed about 215 times.